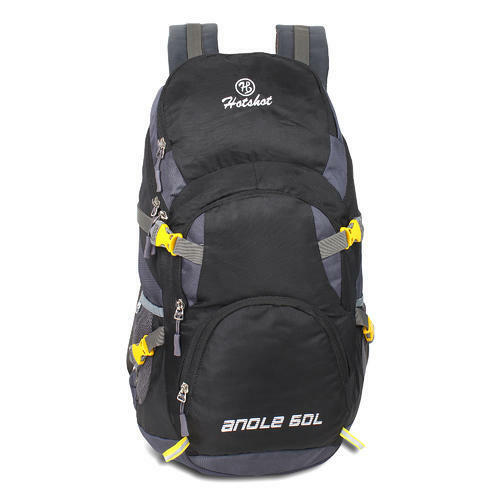 We have gained a huge pleasure in the industry by offering a wide range of Travel Hiking Rucksack. We are a well-renowned organization in the industry to provide our patrons the best quality array of Travel Hiking Rucksack. 1. 12-Inch Padded Shoulder Handle For Comfortable Carry. 2. Back Panel Design With Air-Flow Mesh To Enhance Carrying Comfort. 3. Designed from the inside out to offer reliable protection. 4. Outer Fabric: Durable PU coated Water Resistance Polyester Fabric. 5. This Backpack Is Made Of Durable, Heavy-Duty Nylon & Polyester. 6. Hotshot is a registered trademark. Any unauthorized sellers will certainly bear the legal consequences of Copyright Infringement. 7. 1 Year Manufacturer Warranty Is Non-Transferable And Valid For 1 year From The Original Date Of Purchase. 8. Is the only authorized seller for this product and for brand "Hotshot" Customers are requested to only choose products from seller "Hotshot Bag" to get the original product. We are leading Manufacturer and Wholesale Trader of Hiking Rucksack, Casual BackPack, Laptop Bags, School BackPacks and Messenger Bags. Our offered products are marked at the best possible rates.